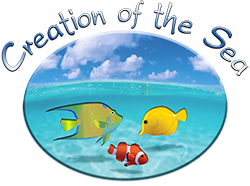 Creation of the Sea is looking for valuable employees that have a passion for saltwater aquarium keeping and the ocean! 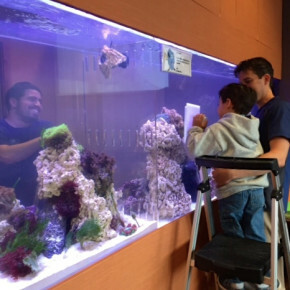 We are a premium saltwater aquarium installation and maintenance company currently servicing clients in the New York Tri-State area. Please browse through our web site to learn more about the unique services and products we provide (if you haven’t done so already), and contact us if you’re interested in joining our team! • Cleaning and maintaining saltwater aquariums in commercial and residential environments. • Testing water parameters of customer saltwater aquariums. • Assisting with the installation of saltwater aquariums. • Transporting livestock to client sites or company site. • Transporting saltwater to and from service accounts. • Acclimating livestock into service clients’ aquariums when needed. • Maintaining a positive attitude and presentable appearance at all times. • Available for emergency service visits and company representations when needed during the week. • Experience with maintaining saltwater aquariums or marine livestock care-taking, and/or Bachelors Degree in Marine Biology or related field. • The ability to lift and move heavy objects (average weight ranges from 20 to 50 pounds), such as 5-gallon saltwater jugs, rock and sand. • A valid driver’s license and clean driving record. All applicants will be subject to a background check. Creation of the Sea is a drug-free workplace, and a drug test may be required. If interested, please send a resume along with a short statement of interest to info@creationofthesea.com.